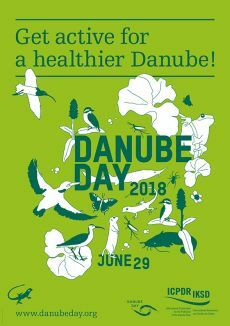 Find out what's happening on Danube Day near you! The international event is coordinated by the ICPDR, but organised nationally and locally by state, regional and local authorities, NGOs and corporate partners. In each country, Danube Day has its own flavour. Read on to find out how your country and region is celebrating and what you can do to get involved. Details of the next Danube Day will be posted here in June 2019. In the meantime, you can click on the photographs below for a taster of how each country celebrated in 2018. Or for the latest news, contact your national coordinator. You can also find out how the previous 15 Danube Days were celebrated by going to the general Review page.